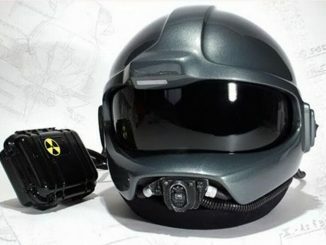 If you didn’t win the bidding on the Airwolf Pilot Helmet Replica, don’t worry. 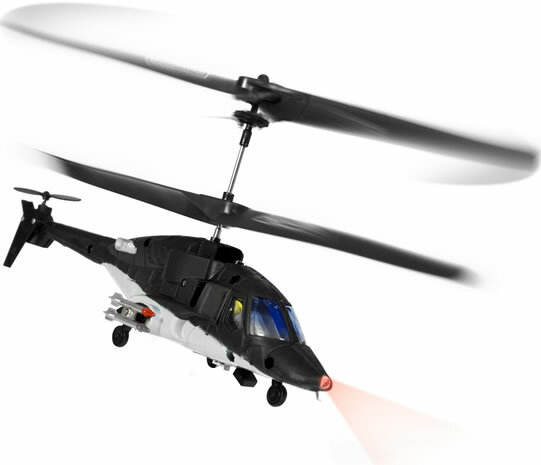 You can now get your hands on a fully-licensed R/C version of the Airwolf supersonic military helicopter. 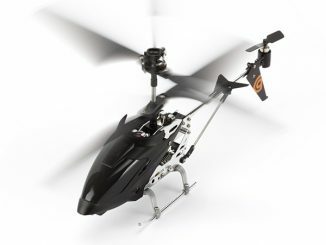 It can fly up, down, backwards, forwards, left and right and it features an infra-red control, tri-band technology and counter-rotating rotors. Full control: up, down, left, right, forward and backwards movements. 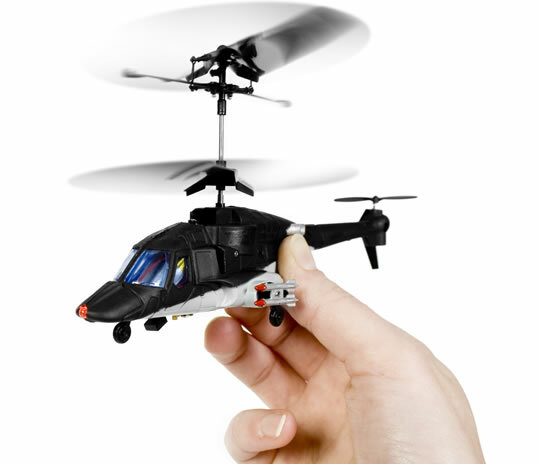 Dual counter rotation rotors for superb stability. 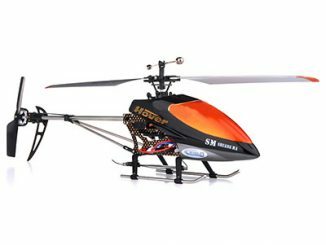 Highly detailed and crash resistant hard body shell. 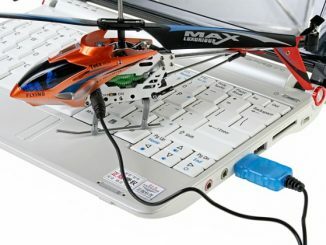 Built-in 3.7v li-po battery with charging protection. 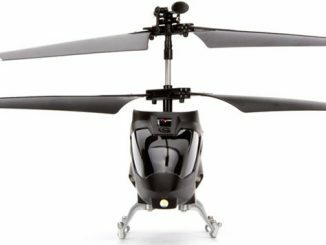 Charges in 20 to 30 minutes and runs for 6 to 9 minutes. 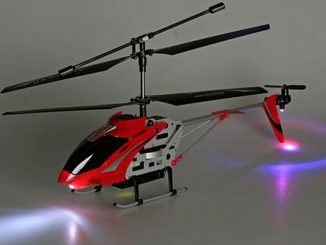 The Airwolf R/C Helicopter is available from Firebox.com for £39.95 (about $56 USD). 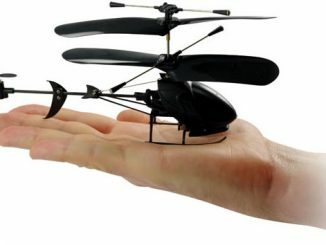 looks pretty cool, i want one!!! Look pretty good! 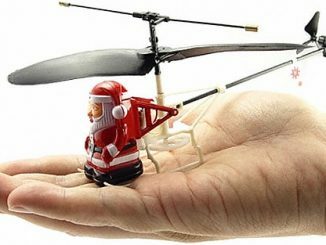 I bought mine at Tradestead , there are many kinds of R/C toys as this , it really give me much fun! 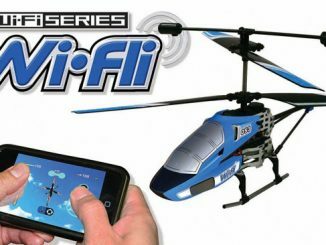 ANYONE that even thinks of calling this micro-mini bit of JUNK “Airwolf” is INSULTING and CURSING a grand looking bird and I will have words with anyone that says different! I would NOT touch it for all the money in the world! 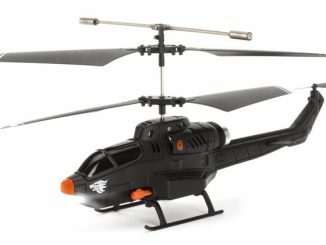 I KNOW that “Airwolf” was just a TV show, BUT DAMN! The Lady was one grand looking bird and had she been a real, flying and fighting bird, I would give anything to go up in her and put her through her paces! WHAT A BIRD!